We have told you about the new partnerships that FTH:K has launched, right, and one of the projects on which we are collaborating is our National Deaf Education Tour (NDET). We ran our first tour in 2006 and since then, have run one every year, reaching more than 25 000 youths, of which 70% have been Deaf or hard of hearing. Together with Clowns Without Borders SA, Dominican School for Deaf Children in Wittebome, Cape Town, and international Deaf artist, Ramesh Meyyappan, FTH:K is running its National Tour again sharing with Deaf learners across the country the magic of live performance and the fun of theatre skills. Now, you obviously know who FTH:K is, and we’re sure you’re familiar with our work at Dominican School through our Tell-Tale Signs Programme, but what about Clowns Without Borders? Well, they are a group of…clowns…obviously…but not just any old buncha clowns. They are a group that has reached over 200,000 children and adults in communities affected by violence, disease, natural disasters, and poverty, and by presenting free performances throughout Southern Africa, they use physical comedy, music, storytelling, and dance, to provide momentary relief to people in these affected environments. Yeah. They’re awesome. And this Ramesh guy? Ramesh Meyyappan is a Deaf theatre practitioner, based in Scotland, who creates performances using an eclectic mix of visual and physical theatre styles. Despite using little to no language in his work, he creates strong narrative performances and recently even added circus techniques to his theatrical visual vocabulary. His works have been toured to Austria, Australia, Cambodia, Croatia, Czech Republic, France, Hong Kong, Italy, India, Iceland, New Zealand, Norway, Sweden, Switzerland, Singapore, Poland, United Kingdom and the United States to name just a few…and now, South Africa! And we met him through our American partners, Quest Visual Theatre. 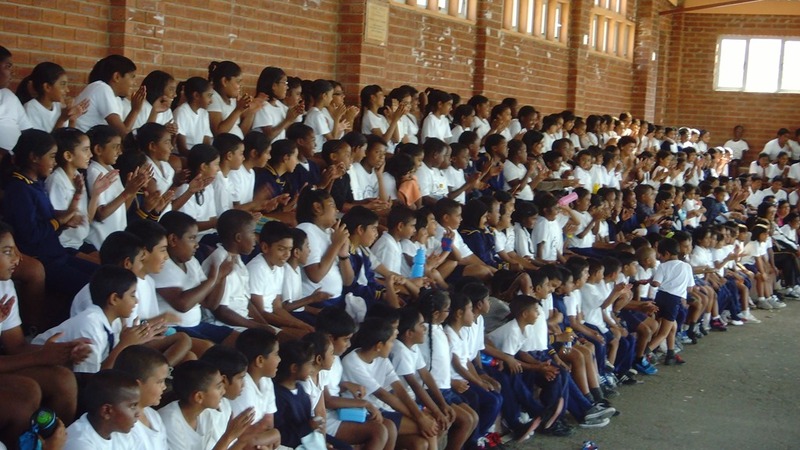 The first leg of the 2013 NDET runs until 24 May at the Dominican School for Deaf Children where Ramesh will be running a 3-week residency programme in visual theatre with the Deaf learners. He’s teaming up with long-standing FTH:K friend and collaborator Sjaka Septembir to create a work-in-progress which will culminate in a series of showcases at the school’s annual Arts and Culture Day on 1 November. The second phase brings together new and old collaborators. The new? The fabulous Clowns Without Borders SA. The old? Previous FTH:K Artistic Director, Jayne Batzofin, and a number of schools in KZN and the Free State with whom we have both long-standing relationships and new, burgeoning ones. 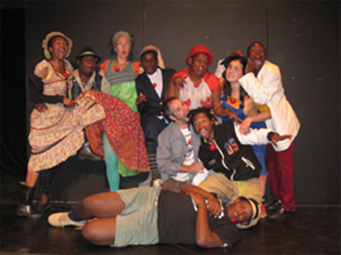 The clowns have devised a new production that they are taking around KZN and the Free State from 06 to 24 May. And as if that wasn’t enough, an additional coolness is that Deaf FTH:K graduates Marlon Snyders, Christopher Beukes and Sinethemba Mgebisa will also be working with Ramesh while he is in the country, benefitting from the exchange not only creatively but also in personal growth as Ramesh himself is testimony of what is possible in Deaf performance. You guys will remember Marlon, Christopher and Sinethemba as being Trainees on our Tell-Tale Signs training programme’s Integrated Professional Development Programme, dazzling audiences with their performances in OfficeBLOCK, before graduating from the programme in 2012. So, there you go, okes. We’ll keep you posted on how the project is going so, as always watch this space!